← OneStep Writing System – Web-Based? I’ve created my first intern program: COMMERCIAL FICTION DEVELOPMENT. The first intern program is for people who want to work with WRITERS OF FICTION (and personal non-fiction). And who want to get paid to do this. I’m looking for people with whom I can work LONG-TERM. I want to build a team I can rely on to work with every fiction project I write, and ideally the first interns who join the program would become my team, and will still be working with me as indie contractors 25 years from now. However, I know other writers need help, too—and I know where hundreds of these writers are (ReadersMeetWriters.com), and I can train more folks than just my own team. Whether we end up working together long-term or not, I’ll make sure that, if you take the program seriously and apply the necessary effort to learn the skills I teach, I’ll recommend you in ReadersMeetWriters for the skills you learned, and you can offer your skills in the RMW Market with my recommendation as your first client. 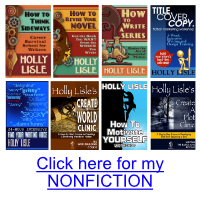 This is the program to apply for if you want to get to read a lot of fiction, and work with writers to help them make their fiction the best it can be, and to learn how to get it out into the world to reach other readers. And I’ll be recruiting FROM the membership of ReadersMeetWriters.com for my first interns. Here’s the program. BEGINNING INTERNS will receive my downloadable training for bug-hunting, manuscript layout and formatting, writing cover copy, designing cover art, and basic fiction launches, and you’ll get my input on each step you complete. When the split-tester becomes available, we will split-test cover-copy, cover art, and launch elements, and you will be able to see which of your own work is best (you’ll do multiple entries), and how your work stacks up against the work by others—and you’ll be able to use what you learn to improve your skills. By successfully completing each section, interns will receive my recommendation and points in ReadersMeetWriters.com, as well as the courses I offer that include additional training. Interns will also receive an acknowledgment in each book on which they are an active participant. I have room for twelve interns who will work in teams of three on the 19 projects I have ready to go. I will open up replacement slots for any interns who drop out of the program. Interns with whom I work well and who enjoy working with me will progress to the ADVANCED PROGRAM. All advanced interns will take How To Revise Your Novel at an accelerated pace, and will use this course to understand how to revise and edit fiction. You will each receive first-draft manuscripts of previously published works of mine to use for practice, and once you have completed the course and a full edit of a first-draft manuscript, will work with me on live fiction as I create it. ADVANCED INTERNS will also take the advanced fiction launch training I am currently developing, and will set up test launches. Successful test launches will become live launches. When each ADVANCED INTERN runs a successful live launch, that intern will receive fiction launch certification for use in RMW. 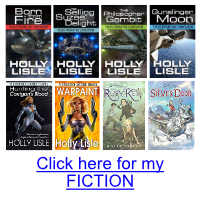 I will contract with one or two certified fiction launchers to plan, set up, and run my own launches, and will recommend certified fiction launchers to RMW members looking to hire them. This intern program will be a lot of work, will not cost you anything, but also will not pay you anything. You’ll receive free training; you’ll receive points and recommendations in RMW if you do well; you’ll receive acknowledgement in the books you help fix. And as I’m able to move from the intern-training model to hiring contractors, I will. If you want to apply for an internship, watch your email from the RMW list. If you are not currently a member, you can join ReadersMeetWriters.com, which is still in its BETA stage. I’ll send an email out early next week. Wow! I only saw this today and found that the internship applications were only open for two days; is that right, or was that part of the beta test? The program filled that fast. Keeping a weather eye on my email account for the ‘Intern Wanted’ email! I think this is a brilliant idea, and am honestly surprised you didn’t come up with it sooner. It doesn’t matter. We’ll be switching to a Check All That Apply system on the final software. So just one account is all you need.